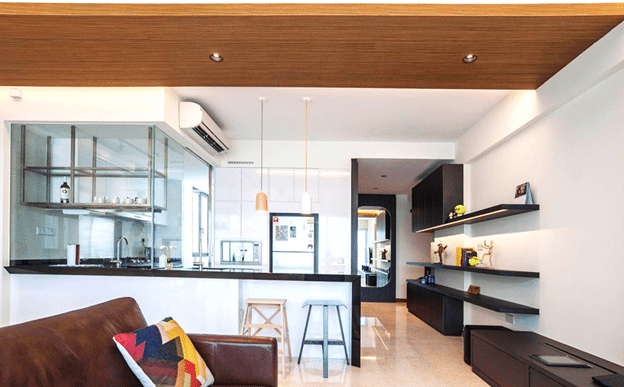 Consider this cozy apartment that perfectly blends rustic with a modern interior designed by ZL Construction, which can surely bring a charming appeal to your home. Z L Construction has developed to be the reliable choice for homeowners, commercial residents as well as industrial consumers. Z L Construction endures to pride itself in facility brilliance and worth guarantee with a particular touch. This attic apartment looks flawless with modern interior, the rustic leather sofa gives this room a fabulous appeal with wonderful small wood dining table. The lovely long window with beautiful sheer window covering give this place a superb look. The stunning black and white open kitchen gives this place an uncluttered open feel with stylish lighting at the countertop. The shiny tile flooring brings the sleek and stylish charm to this area with a marvelous flow of traffic. 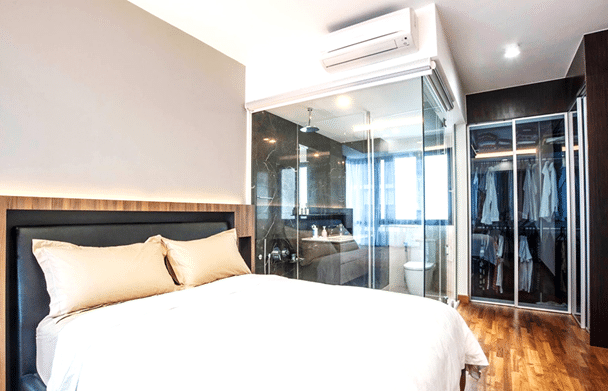 The outstanding blend of the rustic and contemporary interior makes this bedroom fascinating, the charming small bathroom with glass doors give a unique feature to the place which you must consider for your home with incredible glass wardrobe. 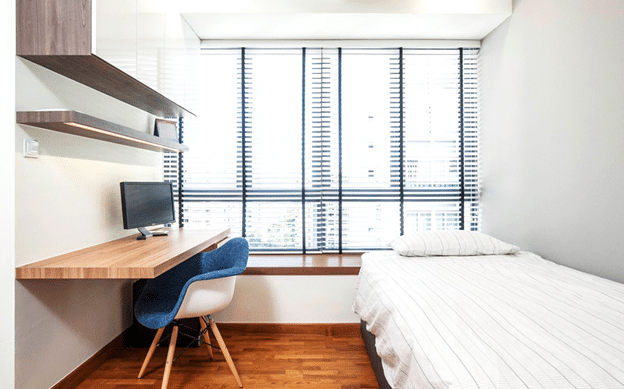 This single bedroom looked amazing with small desk and table which makes a modern study area with single bed. 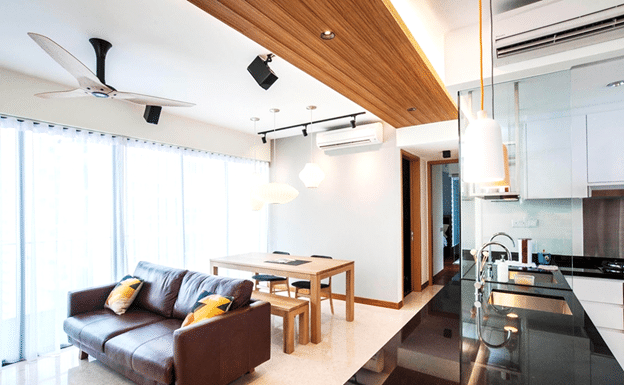 The lovely wood flooring complement this small space. 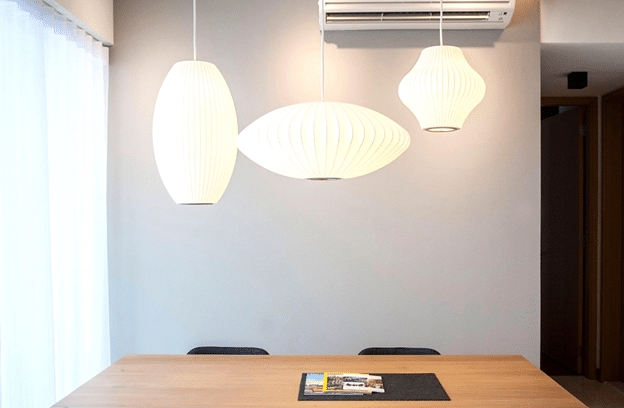 Update your home with beautiful hanging lights, these white sophisticated lights look stunning with their beautiful designs and shapes which you must consider for your home.